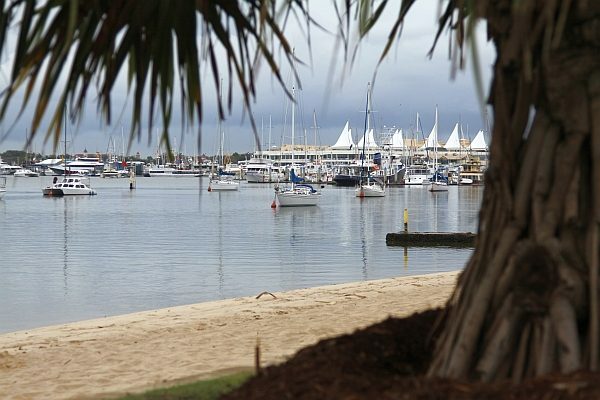 The Gold Coast Broadwater is a sheltered inland waterway with plenty of anchorages, marinas, beaches and entertainment precincts with easy access for boat owners. A popular weekend getaway whose star began to shine in the post World War II era, the Gold Coast back then was simply known by Brisbanites as the south coast. Why or who coined the term Gold Coast is open to conjecture, though the coastal strip was officially recognised in the late 1950’s. Popular opinion has it that the term originated from the extravagance and excess which quickly became de rigueur, as the well-heeled flocked to the coast to snap up waterfront parcels of land. These days, though the Gold Coast certainly still has its share of ostentatious extravagance, for sailors and boat owners, the main attraction is the extensive waterways. 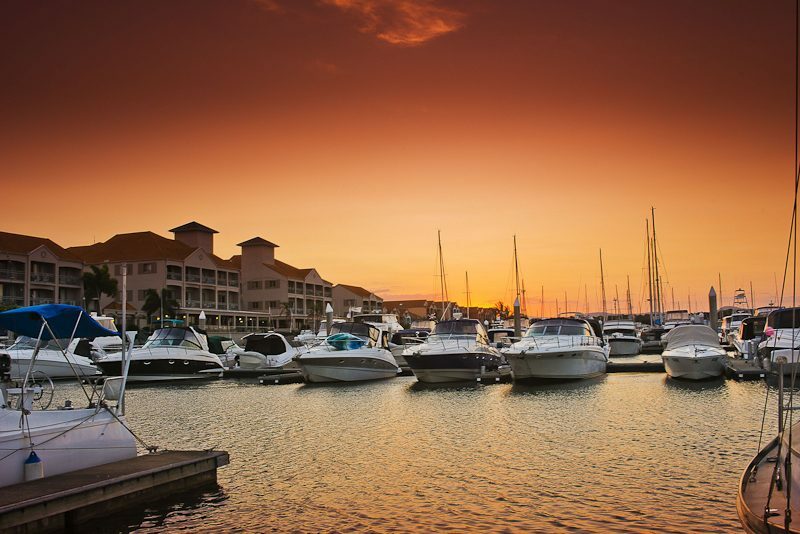 A billion dollar marine industry has grown around the region’s natural features, with state of the art refit and repair facilities along with some pretty swanky marinas on offer. Boat owners on the Gold Coast rank among the highest per capita in the country, numbers that reflect the plethora of boating opportunities. But it’s not just the locals out on the water; it’s a pretty handy port for boats cruising up and down the east coast. So, what’s the big attraction then? It mostly comes down to the stretch of inland water, including a myriad of rivers and creeks known collectively as The Broadwater. While much of the waterway is accessible to shallow draft yachts, a sturdy dinghy and some spare fuel is required to explore some of the real treasures of the area. Not a region with big tides, nevertheless drying sandbars and mudflats are a significant hazard for yachts, as water depths throughout tend towards shallow. Lying at the southern extreme of Moreton Bay and protected from the Pacific Ocean by South and North Stradbroke Islands, the southern access point is via the Gold Coast Seaway south of South Stradbroke Island. Further south of the Seaway a narrow strip of land called the Spit protects the inshore waters and is the most popular area for yachts, as well being the location of both the Southport Yacht Club and Seaworld. Wave Break Island acts as, well, a wave break, inside the Seaway entrance, and there’s a popular deepwater (relatively speaking) anchorage to the north of the island. Like much of the Gold Coast, during long weekends and summer holidays, it can get pretty crowded and rowdy in this compact pool surrounded by drying sandbars. Nearby, Marine Stadium is a cosy little anchorage popular with transient cruising yachts, almost landlocked bar the south facing entrance. Coastal sheoaks on the shore and the roar of the Pacific Ocean crashing into the beach beyond the Spit make this a good base from which to explore the shore based attractions of the Gold Coast. Wedged between Seaworld and the swanky Palazzo Versace Hotel and recently upgraded Marina Mirage development, fishing trawlers sell their catch direct to the public on most days, depending on the season. North of the Seaway the navigation gets a little trickier and the seascape gets a little more interesting as the beachfront high-rise apartments are left behind. 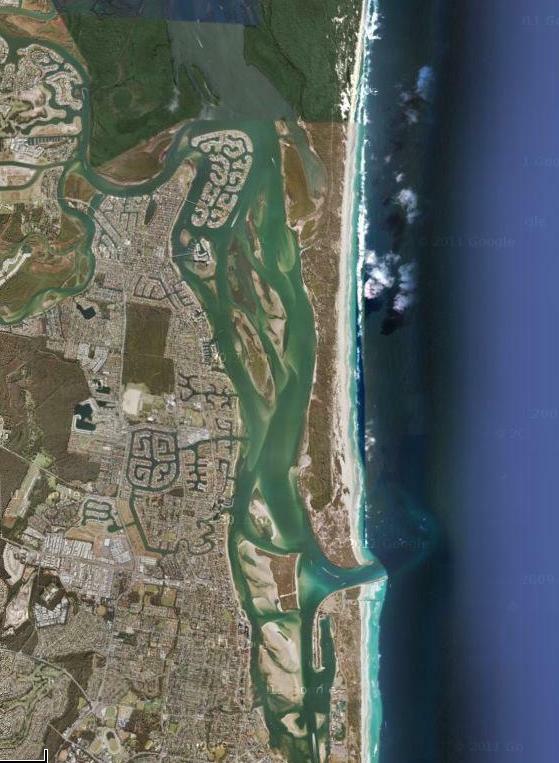 Beyond man-made Sovereign Islands, an exclusive residential precinct connected to Paradise Point by a short bridge, the Coomera River branches westward. Snaking through the suburbs the river is navigable via a marked channel for many miles, though bridges impede yachts beyond Gold Coast City Marina. 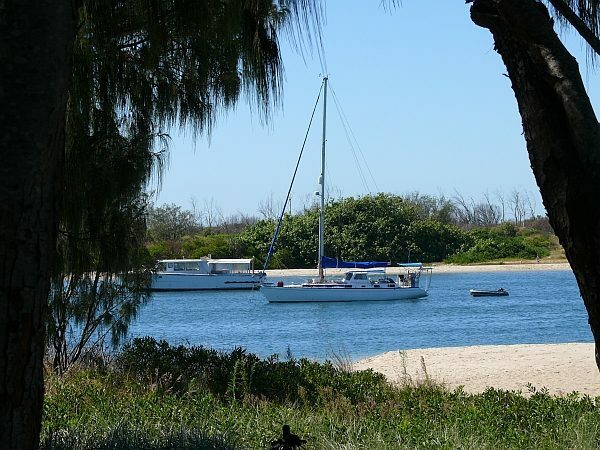 Splitting into north and south branches north of Sanctuary Cove Marina, the north branch offers the opportunity to launch the dinghy and explore the mangroves of Coomera Island National Park. It’s also the southern boundary of the Moreton Bay Marine Park. 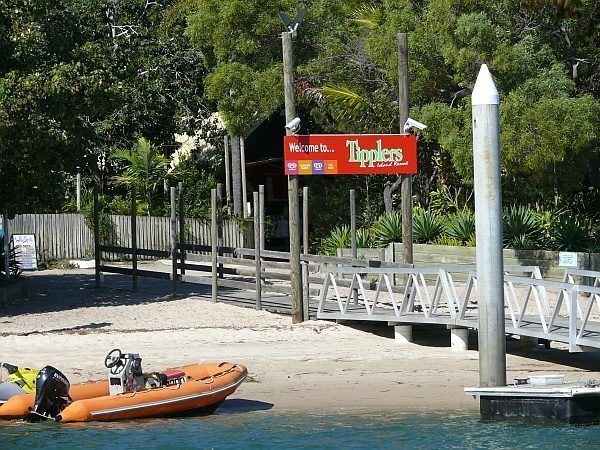 Northwards, yacht owners intent on reaching Moreton Bay and Brisbane have the choice of taking one of two channels, either Main Channel or Canaipa Passage which hugs North Stradbroke Island. Both wind their way past low lying islands amidst mangroves and mudflats, with Main Channel generally more suited to keel yachts. Despite the odd high voltage power cable strung skywards, and ignoring the distant high-rise peeking over the treetops, the waters surrounding Russell and Macleay Island are worthy of further exploration. Here you’ll find the real treasures of the Gold Coast waterways. Concealed deep within the mangroves secluded anchorages, many just large enough for one or two vessels, allow one to believe the hustle of the coastal strip is a million miles away. The old-fashioned waterfront village of Steiglitz, along with the modern Horizon Shores Marina allow one to pick up fuel and supplies, in case you decide to linger a little longer. 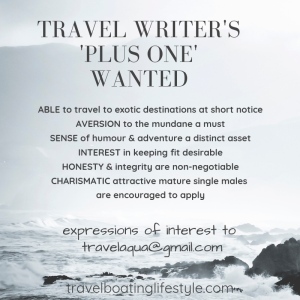 This is not a bad idea, leaving the heavily populated coastal strip south of the Seaway that started the ‘gold rush’ last century, to the millions of annual visitors who flock to Surfers Paradise and its ilk. We love getting out in the boat up towards the jumpinpin, such a lovely part of the world! Thanks for the great article.